Welcome back to another tips article for Dofus Touch. 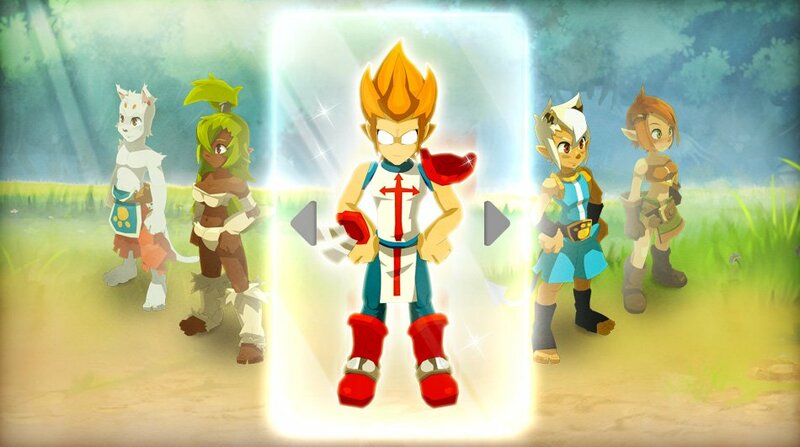 In this we will give you some suggestions which will help you pick a suitable class in Dofus Touch. If you can just deal direct damage like a Cra, Iop, Ecaflip, etc. you fit into any group. There is no need to be situational most of the time. No need to bother with fancy strats, that require teamwork, if you can just fight on your own. If your going to play solo but want to group up easily, play Foggernaut. They can easily fill damage or healer role without changing build, and can do solid map control. If you are not opposed to starting another character, the first suggestion we give to you is avoid choosing a class that is "on demand", but a class that you like to play. It mainly depends on what you personally like to do, wreak havoc and provide damage galore, or save allies with sick heals and clench damage mitigation spells. Maybe you'd like to kill mobs before they even have a chance come to you or you don't mind to be up close and personal. It depends. Many new players want to pick a class that's "in demand" so that they can party up as often as possible. The thing is, it is quite hard to find a group for running dungeons/leveling up together, even on servers with high population. Almost everyone have multiple accounts and do everything by themselves. It's pretty hard to find solo player that are willing to group and do stuff together, they are just a rare species today. It's probably not a surprise that we mentioned Cras and Iops because these classes are still two most popular alongside with Ecaflips. So don't narrow your choices, pick whatever floats your boat. If you'll find a good guild and people that don't mind to play with new player, it really doesn't matter which class will you pick. If you are interested in Strength Iops, it's good for you since Iops are not that hard to play at all. You just need to know when you can go in or when it's time to slash mobs from distance with "sword of Iop". They have excellent self-buffs, dish tremendous amounts of damage and have a bit of map manipulation. The gear is not a problem at all. Strenght is very common build, so there's a lot of different strength sets and equipment at marketplaces. Petmount that gives strength (Kompost) is quite cheap, too. Now more and more players return to the mobile version of Dofus, so some tips that can help them choose a suitable class are neccessary. Hope this article would help you. To celebrate the upcoming new year, DofusTouch-Kamas will hold a 4% discount promotion for Dofus Touch Kamas. During the December 26, 2016 - December 31, 2016, you will get the 4% extra bonus with your each buying. The coupon code is "PNY-KAMAS".